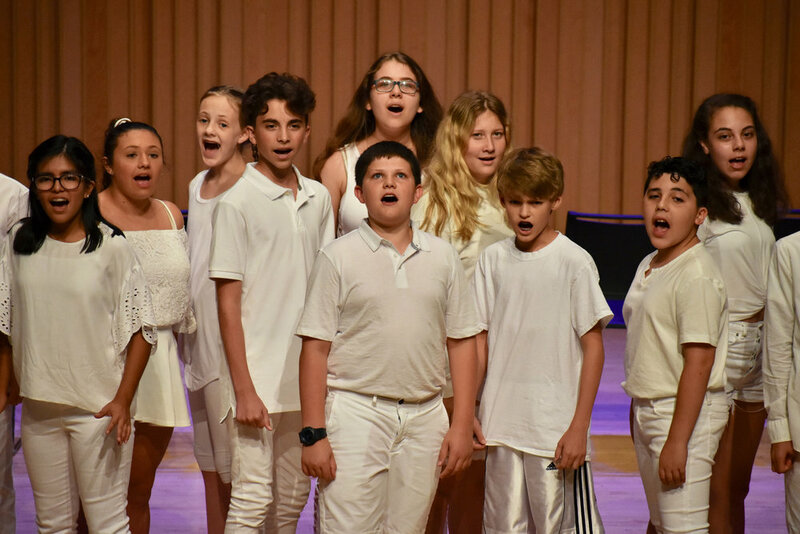 In 2018, students of the Long Island Musical Theatre Festival's Middle School Intensive performed "Hamilton: A Choral Medley." Words and music by Lin-Manuel Miranda as arranged by Lisa DeSpain. 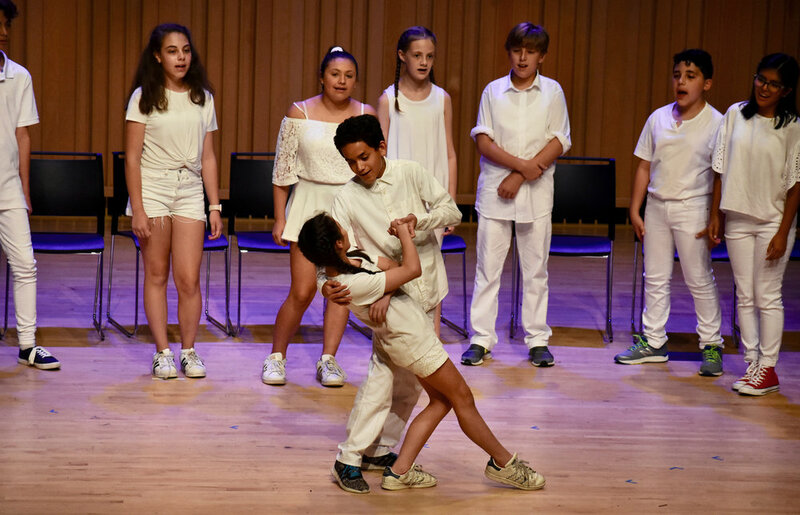 Our 2019 Summer Festival will include a Middle School Intensive for students currently in grades 6 through 8. This program will be broken into two parts to allow students to register for either one or two weeks. 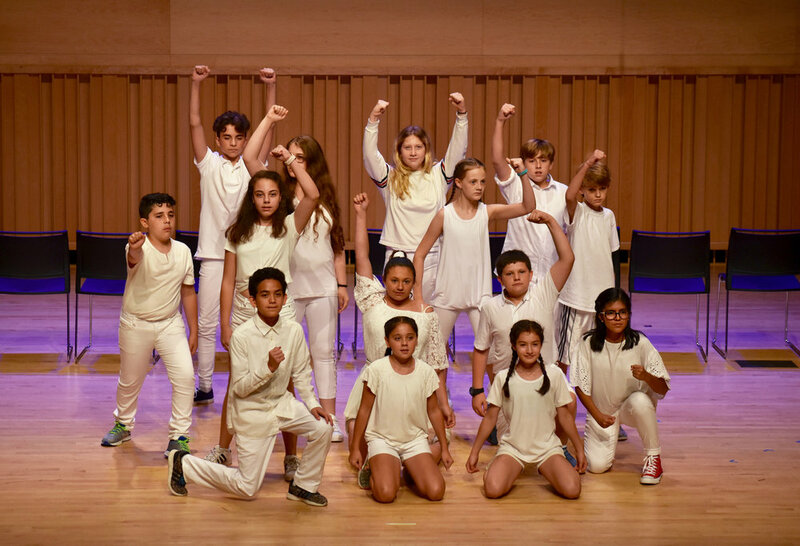 The first week will focus on theatre games, improvisation, vocal coaching and acting techniques. 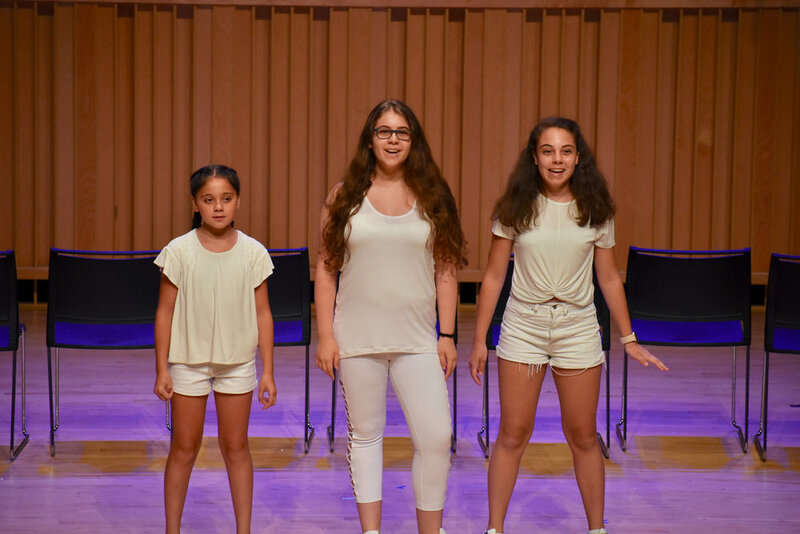 The week will also include the preparation of a song to be performed in our Sondheim Revue alongside students in our High School/College program and our Broadway guest artist. Our second week will focus on preparing and performing DEAR EVAN HANSEN (Choral Highlights) by Benj Pasek & Justin Paul as arranged by Mark Brymer. Although most of the music in the final performance will be for full ensemble, there will be opportunities for soloists. All students will thrive in this program – both curious new performers, and accomplished young professionals will find a safe environment for risk-taking and learning. Each participant will receive one complimentary ticket for a parent/guardian. This performance will be free of charge to family and friends of those performing. All rehearsals and performance will take place at Adelphi University's Performing Arts Center, 1 South Avenue, Garden City, NY, 11530. Students will pack their lunch and snack. Students must be currently in grades 5 through 8. Students must submit a video recording of themselves singing a 32-bar cut of a musical theatre song of their choosing. Maximum enrollment is 30 students and will continue to accept submissions until all spots are filled. Fees include all class instruction and a LIMTF T-shirt. Those who participate in both weeks will also receive one complimentary ticket for student participant to attend our Saturday matinee performance of Sweeney Todd: The Demon Barber of Fleet Street. Week 1 and 2: $745. Late Fee: $50 will be added to tuition for registrations received one week prior to starting date. Deposit: If accepted, a non-refundable deposit of $100 is due with the application. The balance of the fee is due by June 1. Registrations received after June 1 must be paid in full.